John Goodall is the architectural editor of Country Life. He is responsible for writing and commissioning the celebrated series of architectural features published in the magazine every week. John has been involved in various television series on history and architecture. He was the series consultant for the BBC1 television series on architecture presented by David Dimbleby, The Way We Built Britain (2007). 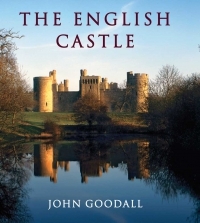 Previous to his present post, John worked as a researcher and historian at English Heritage, where he was involved in launching the new guidebook series known as the Red Guides and worked on several flagship exhibitions at sites including Battle and Dover.